Holiday bundles priced just right to help you with cute ways to package your little treats! Petite Treats Bundle or Trimmings and Tags Bundle click here for more information! 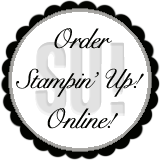 Go to my online store for a free digital download from Stampin' Up!